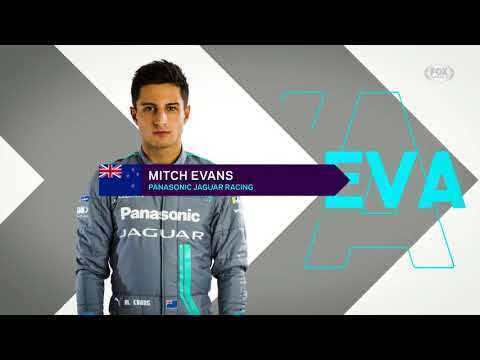 Mitch Evans made history for Panasonic Jaguar Racing, claiming the team’s first ever ABB FIA Formula E win in Rome. It is Jaguar’s first international motorsport victory since 1991.During a qualifying session plagued with intermittent rain showers, an impressive performance from Mitch saw the Kiwi driver clinch P2 from Super Pole. Teammate Alex claimed a ninth place qualifying, before being penalised for exceeding the maximum power limit and started at P21. An early collision at turn 17/18 caused a pile up of several cars and brought out a red flag. Mitch drove confidently at the restart and managed to overtake Andre Lotterer with Attack Mode at turn 11 for the lead of the race. Despite Lotterer activating Attack More a lap later, the Kiwi driver defended well and held onto his first win in the series. The Panasonic Jaguar Racing team will now prepare for the Paris E-Prix on 27 April. The second race of the 2018/19 ABB FIA Formula E season showed pace, performance but only delivered a couple of points for Panasonic Jaguar Racing in Marrakesh. Mitch Evans started the day well with a fantastic drive in FP2, to set the fastest time. The Kiwi driver qualified into Super Pole with a P6 time and started the race in P5 due to a penalty for Antonio Felix Da Costa. His team-mate Nelson Piquet Jr. also qualified in the top ten in P9. Panasonic Jaguar Racing unveiled the all-new Jaguar I-TYPE 3 second-generation Formula E racecar at the Design Museum, London. The bold new design pushes the boundaries of innovation and technology, showcasing the future of electric motor racing. Panasonic Jaguar Racing have developed their entire powertrain in-house, reinforcing the team’s mission – ‘Race to Innovate’. These bespoke Jaguar components consist of the motor generator unit (MGU), silicon carbide module invertor, transmission, cooling system, suspension, motor control unit (MCU) and new powertrain control software. The advanced MGU revs in excess of 30,000 RPM, more than double the rate of a 2018 Formula 1 car, enabling the Jaguar I-TYPE 3 to accelerate from 0-100 KPH in 2.8 seconds. Panasonic Jaguar Racing score vital ABB FIA FormulaE championship points at the Berlin E-Prix, with Mitch Evans finishing a hard fought race in 6th place, and Nelson Piquet Jr. crossing the line in 12th. 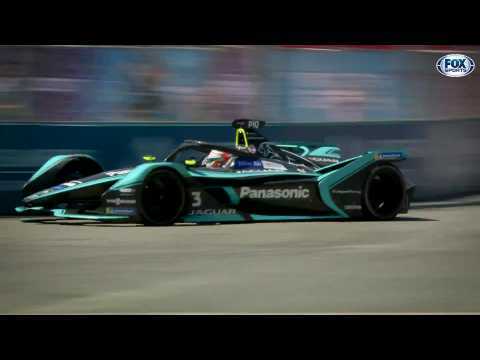 Panasonic Jaguar Racing raced to another fourth place finish in the ABB FIA Formula E Punta del Este E-Prix showing the team’s continuous improvement since entering the electric street racing series. A rollercoaster qualifying session saw Mitch Evans go through to his second super pole shoot out of the season with the third fastest time. Team mate Nelson Piquet Jr suffered damage to his car after hitting one of the circuit’s unforgiving walls. In super pole, Mitch put his Jaguar I-TYPE 2 third quickest before a technical infringement pushed him back to 16th on the starting grid. Both Nelson and Mitch made encouraging starts to the race, moving forward together, before a safety car on lap five paused progress. Unfortunately, Nelson suffered a technical issue shortly after and had to retire before the end of the race. The second ever Rome E-Prix takes place on Saturday, as Season 5 of the ABB FIA Formula E Championship surges past the halfway stage. Sam Bird won on the ancient streets of Italy’s capital last year, but will the British driver be able to emulate his previous success on the circuit, or could we see a remarkable seventh different race winner in a row?